1870 Round Liberty 50C California Gold Half Dollar BG-1024 - PCGS AU Details! 1858-Dated California Gold Token. Indian - Wreath Type 0.24gm. NGC MS66. 1853 Liberty California Gold Half Dollar 50C BG-415 R5. PCGS UNC (MS). Rarity-5! eternitycoin has no other items for sale. 1849 Liberty Gold Dollar Coin G$1 - NGC Uncirculated Detail - Rare MS UNC Coin! 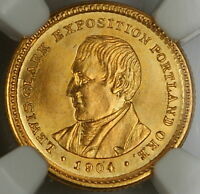 1836 $5 GOLD HALF EAGLE ~ NICE NGC VF25 PRICED RIGHT! 1857 Indian Gold Dollar (G$1 Coin) - NGC Uncirculated Details (UNC MS) - Rare! 1840-O Liberty Gold Half Eagle $5 - NGC AU Details - Rare New Orleans Gold Coin! 1849 Liberty Dollar Gold Coin (G$1) - Excellent Condition - Rare Coin! 1851 Liberty Gold Dollar Coin G$1 - NGC Uncirculated Detail - Rare MS UNC Coin!